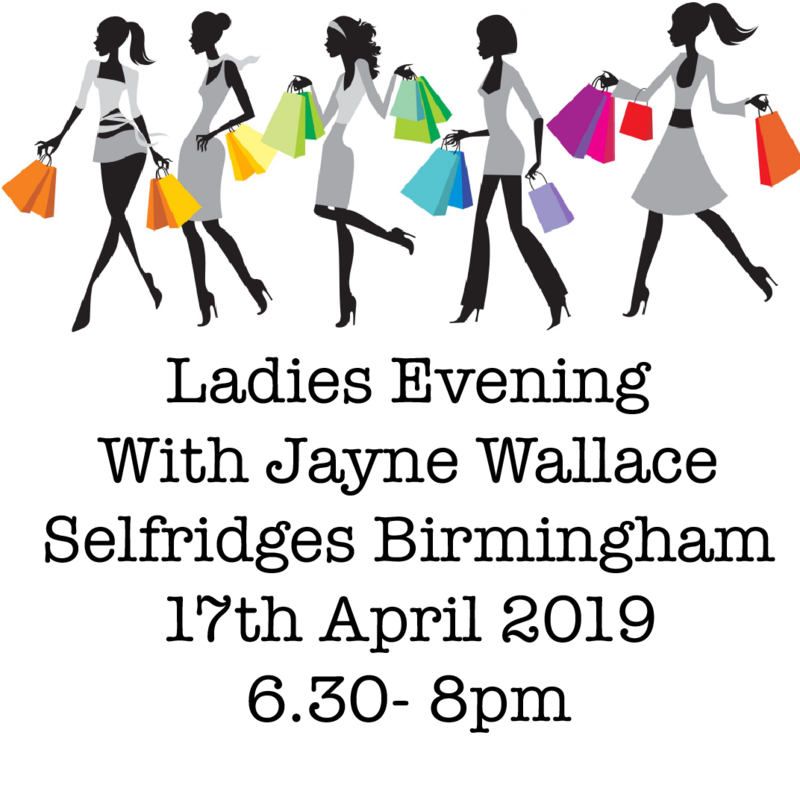 Join Jayne Wallace and her team at Selfridges Birmingham Wednesday 17th April 6.30 - 8pm for our Ladies Empowerment Evening. Enjoy a mini reading, healing session, demonstrations. Nibbles soft drinks and a glass of bubbly. Limited spaces available £40 per person.